Categories: Business, Huang Weiwei, Leadership, Management. In 2012, the Chinese company Huawei Technologies overtook Ericsson to become the world’s largest telecommunications equipment manufacturer, firmly establishing itself on the world business map. Today, it has over 170,000 employees worldwide and in 2014 the company generated a remarkable profit of $5.5 billion. Whilst research and development and the technology that results from it are core drivers of Huawei’s success, the company’s amazing growth is also determined by its human resource strategy. This is based on a “customer-first” attitude, the belief that obtaining opportunities is through hard work and, above all, “a dedication to do the best in anything we do”. How Huawei promotes this dedication amongst its workforce is the subject of this important book. Through original incentive systems, employee ownership and the mentality to act like a boss, Huawei has managed to create a culture of dedication that has become the bedrock of its growth today. The secret behind one of the most profitable technology companies in the world today. ● How the Chinese technology giant Huawei has managed to climb the heights of global business. 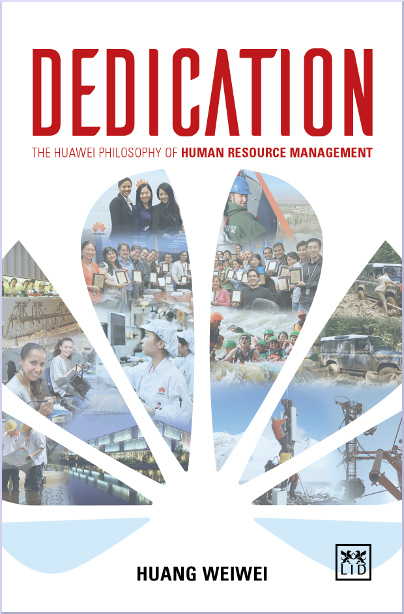 ● Provides a fascinating analyses of Huawei’s human resource management and its culture of “dedication”. ● Author had unprecedented access to Huawei and the major players within it. ● A timely and important book in the context of China’s increasing influence over the world economy. Weiwei Huang is a professor of business at Renmin University of China. He has served as senior consultant to the Huawei board and Huawei’s founder Mr. Zhengfei Ren since 1996. He is currently Chief Management Scientist at Huawei. As our lives speed up at an ever more frantic pace, we can find that we just don’t have the energy currency to keep up. What if getting the focussed energy we need is nothing more than understanding the rules, and then putting in a strategic eating plan to deliver concrete results? Kate Cook delivers a down-to-earth, no nonesense approach to eating well. With so much confusion around diet, food and eating, this book aims to get a clear eating structure in place, empowering the reader to make wise and nurturing choices around food, for both work dynamism and focussed-living. Everybody has a book in them. The question is: how do you tease that great idea or story out of yourself, and begin the journey of writing and creativity. My Next Book provides you with the inspiration, direction and structure to write your dream book. Highly interactive and full of brainstorming activities, this guide/workbook encourages the aspiring writer to consider the kind of book they want to write, the title of the book, the contents, chapter outline and even what should be written for the cover. Whether you want to be the author of a novel, biography, self-help book, history book or even business book, My Next Book will get you started on your creative journey. This book melds together the two most critical elements to organizational viability: change and creativity. More than simply a how-to book or a technical tome, +Change provides the working knowledge, strategies and tactics necessary to not only be more creative and more innovative, but also to implement change more effectively. +Change introduces the ICI Formula (Ideas + Change = Innovation). This critical formula for sustainable innovation within an organization allows for systemized ideation, unbiased idea selection, better change management methods and finally, sustainable innovation. This is a book for managers and executives in an era where innovation and change have become key competitive advantages to any company. Awarded with the Silver Medal during the 2015 Axiom Business Book Awards the first edition of Sweet Success received a great success. In this revised second edition the former CEO, Douglas Lapins chronicles the changes and challenges of a thirty-year career in the corporate world. High-fructose corn syrup, a changing sugar industry, and practical leadership methods weave an absorbing tale of business, family, and social responsibility. Through strength of character, hard work, and native intelligence, he embraced a life full of extraordinary experiences and growth. This is the engrossing story of that journey, the people who influenced its path, and lessons that were learned. It is a must-read for anyone on their own journey of self-improvement. We live in a world of constant change and disruption caused mainly by new technology. Yet, in business, there is widespread apathy, paralysis and confusion in many established companies in face of the obvious scope, scale, reach and pace of disruptive change. Why? Because Denial is the natural default response, given how executives’ brains function and how they are trained. This important book examines why companies seem paralysed in the headlights of onrushing digital and other disruption. In analysing and understanding this tendency towards denial in companies, the author is then able to guide executives to begin seeing a new perspective to coping with the transformation challenge that faces them. Full of insightful case studies and lessons gained from the author’s work with leading companies, this is a hugely timely book when virtually all companies and executives must deal with the threat of disruptive change. Analytics has become a key driver of competitive advantage for organizations, underpinning new waves of productivity, growth, innovation and customer insights. As the availability of data increases, it becomes ever more important that decision makers across companies can fully exploit the potential of analytics to provide effective insights. By expertly linking data and decision making, the author presents a new paradigm which will forge the way into helping develop products and services that cam positively contribute to society. Graham draws on his unique background in military intelligence, strategy consulting and analytics. Presenting research, personal experiences and case studies, in an engaging and practical format. The fact is, we are hopelessly addicted to energy. It is the thin glue that holds our civilized world together and life without it would be unthinkable. Per Wimmer, Owner of Wimmer Financial, Wimmer Family Office and WimmerSpace.com, is releasing his book The Green Bubble this November. The Green Bubble offers an analysis of the current financial bubble being created in the energy sector, by governments subsidizing renewable energy investment. He argues that these investments are not sustainable, and makes a case for investment in gas and, controversially, nuclear power. Alongside the pressure to reduce greenhouse emissions, there is a challenge to find new, renewable energy sources. Many of the current ideas, Wimmer argues, are politically driven. The book also offers an engaging and intelligent analysis of the different energy issues that the world is facing, and how politics has led us in the wrong direction. Since its origins in the 1920s as a refrigerator factory in Qingdao supplying the Chinese market, Haier has risen to become a major multinational company, overtaking the likes of Whirlpool and LG, to become the world’s leading manufacturer of household appliances today, with revenues of $30 billion. How did Haier achieve this amazing feat? This book examines Haier’s organizational transformation, which can be traced back to 1984 when Zhang Ruimin (Haier’s current CEO) joined the company, and which became the essence of Haier’s sustained competitive advantage. In particular, it looks at the ͞RDHY Win-Win Model of Employee-Customer Integration͟, the latest management practice in Haier, which has had a profound effect on the company’s performance, and which has captured the attention of academics and managers around the world. China remains an enigma to many. It is suspended in limbo between media reports and the filtered reality of friends and family visits. This enormous and complex country is either vilified for its shortcomings or praised for its vibrancy, culture and heritage. The truth lies somewhere in between. The stories in this fascinating book unearth the modern-day truths of China, in all its complexity, through the words of those who live there. It is a beguiling series of insights and nuggets of knowledge that will educate, inform and surprise you. In reading these stories, you will gain a deeper appreciation of the country and particularly of the people who have laid the foundation for China's remarkable rise and influence in the world. How is it that some brands and companies manage to last decades, fending off crises and turbulence and continuing to prosper, while others fail? What does it take to achieve sustainable value and success? In this timely and important book, Luis Gallardo argues that executives and managers not only have to think holistically (in terms of strategy, structure and operations), but also act personally (to become “rousers”) if they are to succeed in these ever-changing times. As a manager, you have to engage and people, from top to bottom, and provide an understanding of the company’s mission and brand. As well as taking a broad, systems approach, you have to rouse (ignite and excite) the people in your organisation in order to make things happen. This balance between strategy and tactics, big picture and detail, planning and action, corporate direction and personal responsibility is the key to progress and resilience for your company in today’s turbulent times.